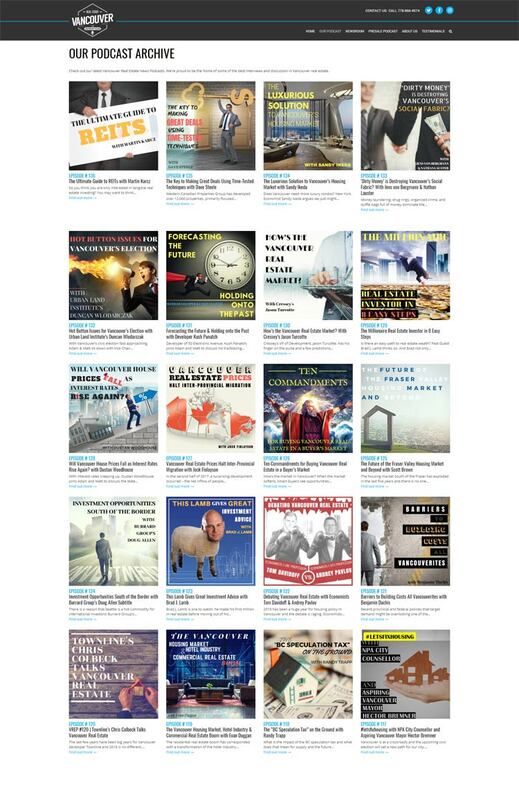 We are your premier source for buying, selling and investing in Vancouver’s Real Estate Market. 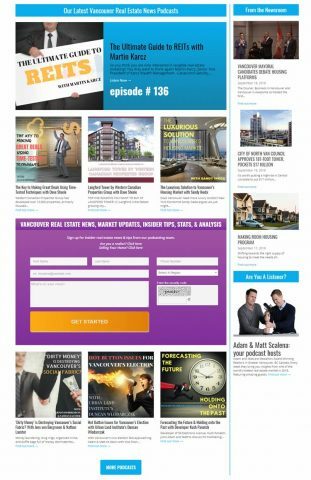 Listen to current podcasts with today’s leading experts and hosts Adam and Matt Scalena. 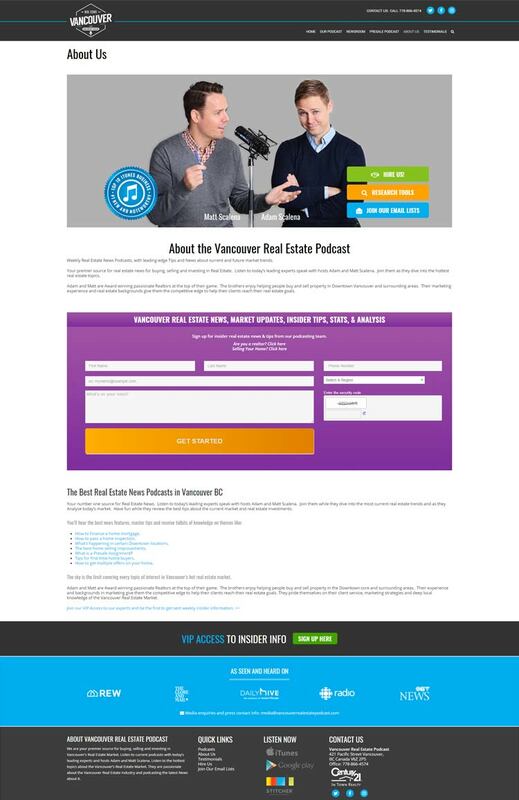 Listen to the hottest topics about the Vancouver’s Real Estate Market. They are passionate about the Vancouver Real Estate industry and podcasting the latest News about it. Layout & Design: Full Page Background, Grid layout: custom content grids, Iconography, Responsive or mobile-friendly web design, Slideshow or Slider, and Typography: notable typeface or font selection.